Brother has earned the reputation of being the leading innovator in sewing machines for residential and designer use. Known for producing both affordable and high end sewing machines, Brother has played a masterstroke with the PC420PRW sewing machines, a one of its kind in the high end model range. The Brother PC420PRW is part of the successful Project Runway series from the renowned makers. Described as an essential designer accessory by industry experts, the PC420PRW is a featured packed computerized sewing machine providing unprecedented levels of customization. The sewing machine has been received quite well by users and experts alike, and finds itself as one of the best selling models in the high end sewing machine range. 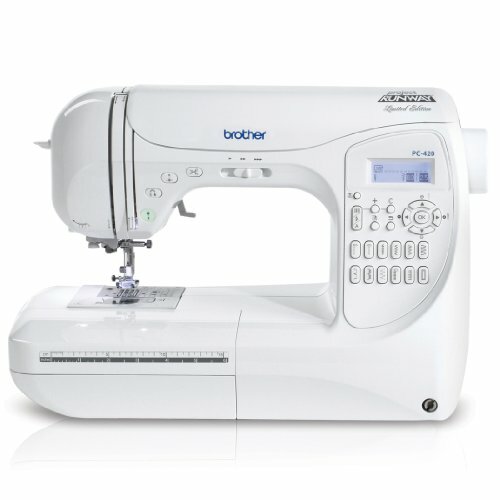 The Brother PC420PRW computerized sewing machine is one of the most powerful models available in the market today. Despite its size of 17.3 x 7.9 x 11.4 inches, the PC420PRW weighs only 26 pounds. Its adequate size allows users to work conveniently on any type of project. It’s one of those models that designers would love to have because of its customizable features. The Brother PC420PRW features an extensive range of 294 built-in stitches, ranging from utility stitches to even designer stitches. In fact, the PC420PRW features 67 utility stitches, 31 decorative stitches, 5 cross stitches, 16 satin stitches, and 10 decorative satin stitches among others. The sewing machine also features 10 different styles of one step buttonholes along with 3 lettering styles. The Brother PC420PRW is definitely one of the most powerful sewing machines in the market today. It comes with an exclusive Brother My Custom Stitch feature that allows users to design custom made stitches. This makes it one of the most convenient sewing machines when it comes to wide range of selections and creating something unique and stylish. The PC420PRW, despite all its features, is quite an impressive sewing machine in terms of speed with 850 stitches in a minute. This professional grade sewing machine is completely computerized and comes with an LED display that allows users to easily choose between different stitch patterns. A dual LED lighting systems lights up the workstation that features a sturdy metal frame construction. In the long term, the PC420PRW can provide consistent couture level stitch quality without compromising convenience. The Brother PC420PRW features a 6 point dog feed system that makes it exceptionally consistent on a variety of fabrics. It is also equipped with a F.A.S.T. 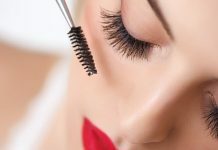 bobbin system that can save considerable time for users who enjoy winding the bobbin. 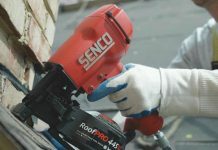 The needle threader is automatic and helps save even more time when working on heavy bulk projects. The built-in knee lifter allows users to easily reposition and remove their fabrics without having to adjust their stitching positions. The sewing machine comes with a 25 year limited warranty and a host of accessories including presser feet and 3 bobbins. Extremely versatile – ideal for professional users and designers. Computerized – account for ease of use and convenience. Durable – Sturdy metal frame body. Comprehensive – one of the most complete models that can be a great investment in the long term. Not very practical for novice users. From the looks of it, the Brother PC420PRW computerized sewing machine sounds like an ideal model for designers. It allows users to express their creativity through stitching, quilting, and hemming. The customized stitching feature really makes it one of the most unique sewing machines in a market where models don’t have much to differentiate. The Brother PC420PRW can be a great investment for professional level users. It is equipped with just about everything you would need from a sewing machine. This can make the sewing machine rather daunting for entry level users. That being said, the PC420PRW has been marketed for the professional market. From light fabrics to heavy fabrics, the dog feed system in the PC420PRW makes it one of the most versatile sewing machines that can operate on just about any type of fabric. Project Runway is certainly making the news for all the right reasons, and the PC420PRW is a perfect example of what modern sewing machines should be like. It is possibly the most complete computerized sewing machine available in the market today. With a wide range of stitch selection and easy to use features, the PC420PRW is among the most well received models by Brother. 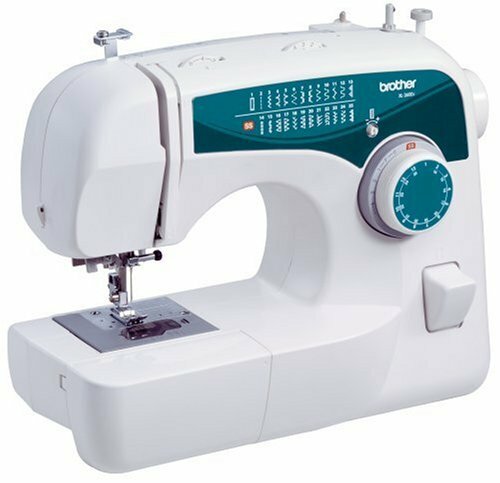 The Brother PC420PRW computerized sewing machine is the first model that you should consider if you are a designer or a professional user. Not many high end machines offer the level of customization and versatility that the PC420PRW features. If you are looking for a sewing machine that can pay off well in the long term while helping you with every stitching project, then Brother PC420PRW is the right machine for you!